With every occasion also comes the task of selecting gifts for your loved ones. 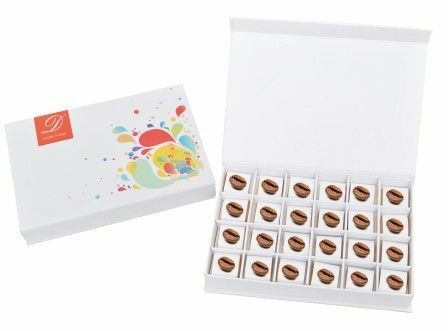 This pungent and tempting pack of 24 Dark Ivory chocolates is made with roasted coffee beans infused with rich and smooth textures of original cocoa beans. The chocolates are perfectly arranged in a finely crafted white colored box with a hint of colors, making it a perfect gift.